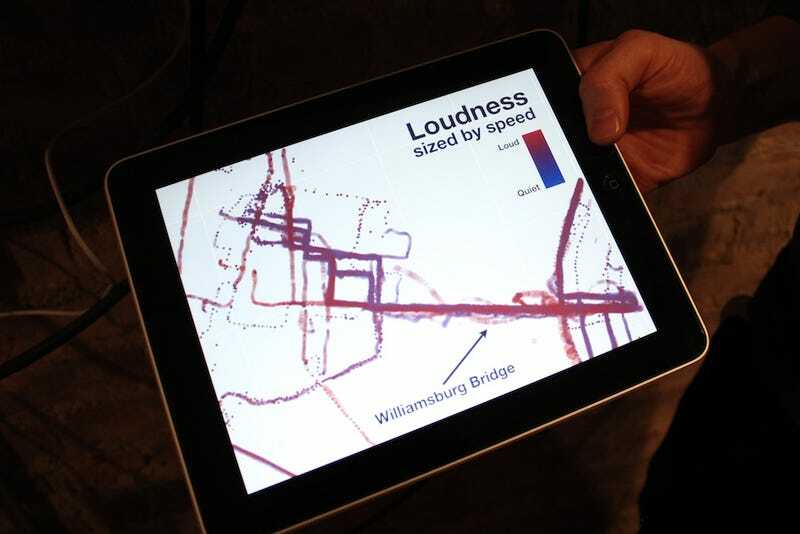 The idea behind Mobile Logger is simple: Logging and analyzing trip data—particularly from bikes—via open source iPhone app that collects a ton of data, from route and noise level, to speed and altitude, aggregating it for cool visualizations. What I'm really interested in exploring is a sense of connection between us by sharing our experiences. I ride a bike daily through NYC, and encounter many other cyclists, walkers and drivers. We pass each other in a moment, or perhaps share a lane for a bit and then continue on our separate ways. How does my 5 mile, 25 minute ride from Greenpoint to the East Village compare to someone riding from Queens? What does a ride around Prospect Park share with one in Central Park? Whats the loudest part of the city for a cyclist? Where are the most frequently ridden routes?